Last call for the DITKOMANIA #93 Kickstarter for the next issue of Rob Imes' fanzine devoted to, well, it should be obvious from the title. 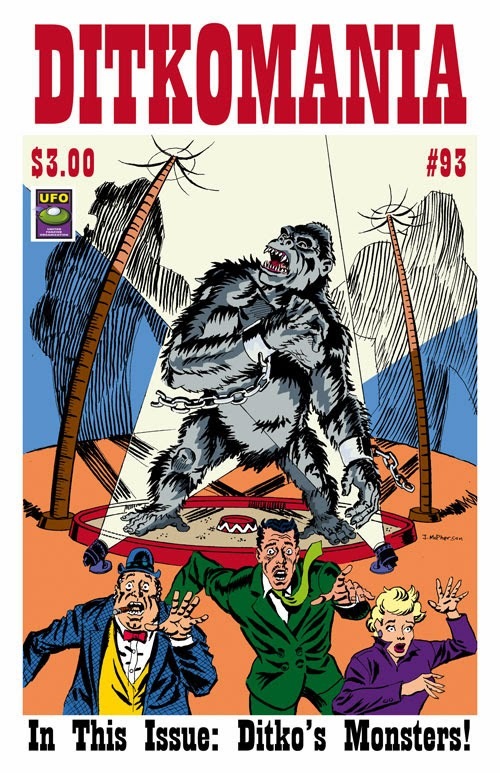 This issue has a focus on monsters, including Konga on the front cover and Gorgo on the backcover, the subjects of a good percentage of Ditko's work from 1960 to 1963. If you're already a subscriber to DITKOMANIA, a Kickstarter pledge can be used to extend your subscription or get a digital edition with additional material.